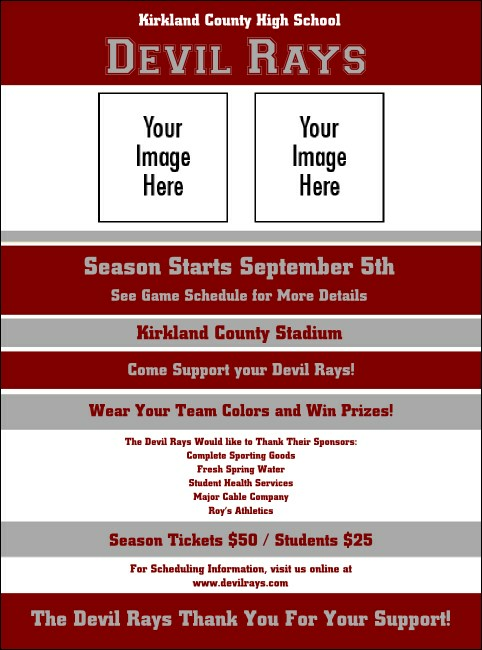 A sports flyer with maroon and silver colors. This flyer template is great for any type of sporting event and also has the option to upload two images. This flyer is approximately 8.49" X 11.46".